Here is the response requested of me on a Facebook conversation I posted recently. I had posted an article and asked for discussion; many people pointed out its obvious flaws and came to the support of TED, while a few agreed that the article had salient points. Then I was asked to reply, and so I did. The link to the article (and a quote encapsulating the point of the article, if you have not the time or are too lazy to read it) follow, and my response follows the picture. There are a lot of things I like about the TED idea. Free and reasonably intelligent content, for the first thing, is always a blessing. I have never been big in the sciences and as the majority of TED talks tend to focus on technology and the natural and physical sciences, it’s a cheap and easy way for me to catch up. And lastly, any entity that encourages the development of knowledge and the progress of technology is fundamentally doing some good. But it is the mindset of TED and its impossible desires that irk me. I see TED as unhealthily infected with scientism, that dangerous yet all-too-common belief that the progress of science can solve all problems worth solving. One of the talks I’ve been sent most, because it involves the social sciences, is one by a sociologist who takes all the major countries of the world and graphs them according to standards of living, and concludes by the end that living standards around the world will continue to progress towards that of Switzerland until they are pretty much there, and we’ll all be one big happy human family and we won’t have to kill each other anymore. Other talks I’ve seen (or seen snippets of) discuss space colonies, cures for deadly diseases, new robotic technologies, and quite basic self-help tricks for neurotics like me. And after I watch each and every one of these talks, I either shake my head at a futurist whose desired perfection is unattainable, I applaud a great new idea that will surely bring about great good (and likely some evil with it,) or I sit puzzled as to why everyone thinks such a quite basic idea is so original and penetrating. 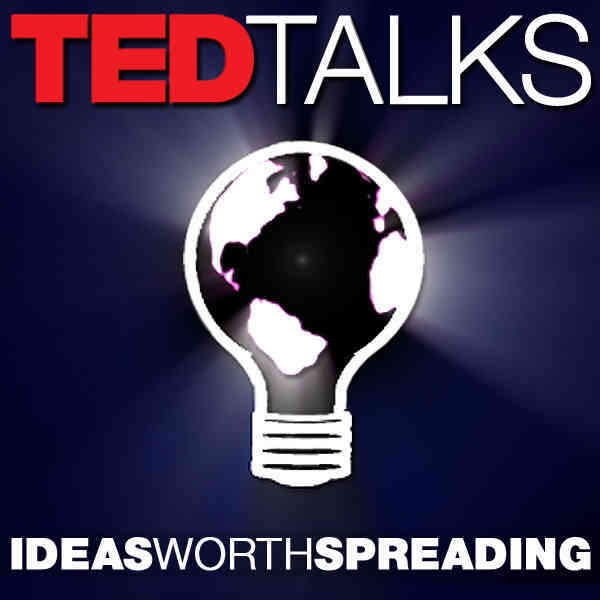 The ideas TED shares are good, I do not contest that- but they are never, EVER the fundamental-issue-resolving silver bullets they are cast as, and for the most part never approach anything nearly that interesting. I, for one, have never seen any product or service or even any idea put it into practical use, attributed to TED; have any of you? Now as a forum, it’s about as useful as a forum can be- it spreads ideas to people who have the power to use those ideas, and moreover it spreads ideas to the global interested middle-and-poor classes. But even this, I am suspicious of, to a degree. I mentioned earlier TED’s mindset irks me. It sees solutions to the problems that science itself has not found answers to, and presents them as though they were simple common sense. It downplays the complicated situations of the real world and suggests that we move on to an ever materially and morally brighter future. It fails to mention, I believe intentionally, the negative uses and side effects of any given scientific or intellectual advance, all of which have consequences. And it gives the watcher a sense (a dangerous one, in my opinion) that they just watched the cutting edge of human thought solve another problem and bring us closer to a happy and orderly world in which everything will be more or less fixed. There are no great dilemmas, there is no tragedy, in this approach; everything is neatly solved, and the actual dilemmas that leaders deal with, and the actual realities that people deal with in general, are left out. One is fed the notion that they are helping to make the world a better place- a notion that I have serious problems with. People aren’t gods, nor are they perfect or perfectible- in a nutshell, my problem with TED is that it leaves the opposite as the necessary conclusion. Bear in mind, I have no vendetta against science or progress, only scientism and the belief in social moral Progress. I am the one who advocates energy expansion down every possible avenue, improvements in all sorts of transportation technology, the shifting of our economy away from the failing industrial economy to a hip and techy new information-based society (which i, by the way, would flail about horribly in,) investment in the biological and geological sciences, expanded conservation efforts to preserve biodiversity, an integration of certain social science methods with classical political thought, and the expansion of human colonies to other moons and planets. I think I can justly say that I am the last one to oppose progress and science. But the difference between my thought and what I perceive to be TED’s thought, is that were TED to sell any of the things I just listed, they would leave their audience thinking it would be perfect, that it would represent an end of history rather than history’s continuation. But I would never leave a fellow human being so naive.